Jordan's King Abdullah II has cancelled a planned visit to Romania, one day after Romanian Prime Minister Viorica Dancila said she will move her country's embassy to Jerusalem, according to the Jordanian Royal Court, Anadolu Agency reported. 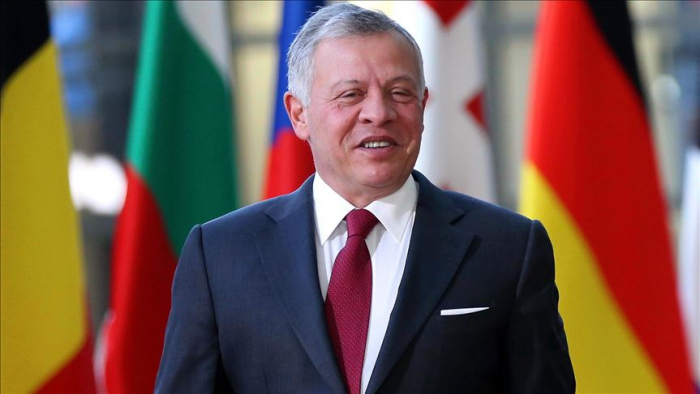 The Jordanian monarch was scheduled to visit Bucharest on Monday for talks with Romanian President Klaus Iohannis and senior officials. Romania holds the rotating presidency of the European Union. Addressing the American Israel Public Affairs Committee (AIPAC) in Washington on Sunday, Dancila said she would relocate her country's embassy from Tel Aviv to Jerusalem. But Iohannis opposed the decision, saying his prime minister was "ignorant" about foreign policy issues. "The final decision about moving the embassy from Tel Aviv to Jerusalem rests with me. The prime minister shows complete ignorance regarding foreign affairs," he said. U.S. President Donald Trump unilaterally recognized Jerusalem as the capital of Israel on Dec. 6, 2017, triggering world outcry and it relocated its embassy in Tel Aviv to Jerusalem on May, 2018. Guatemala has followed the U.S. suit, relocating its embassy to the occupied city. Jerusalem remains at the core of the Israel-Palestine conflict, with Palestinians hoping that East Jerusalem -- now occupied by Israel -- might eventually serve as the capital of a future Palestinian state.